Looking for grants? Dr. Tony Kim of the United State Air Force just might be the next big thing for you! 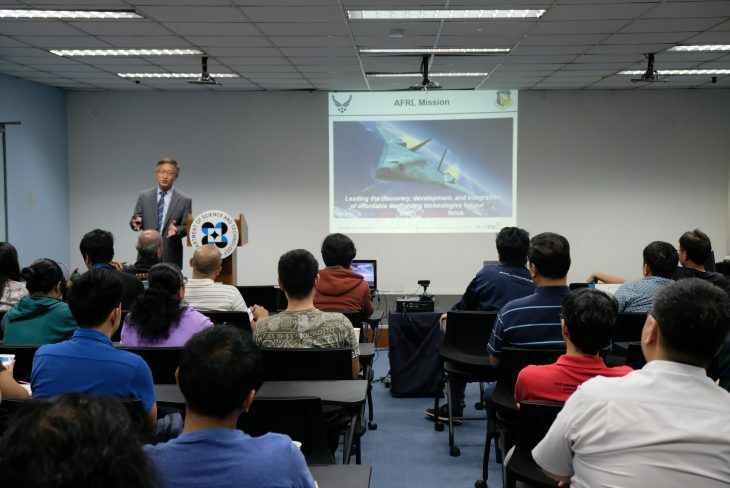 Dr. Tony Kim recently visited DOST-Advanced Science and Technology Institute (DOST-ASTI) to present USAF’s strategic programs and other opportunities that his agencies can offer. 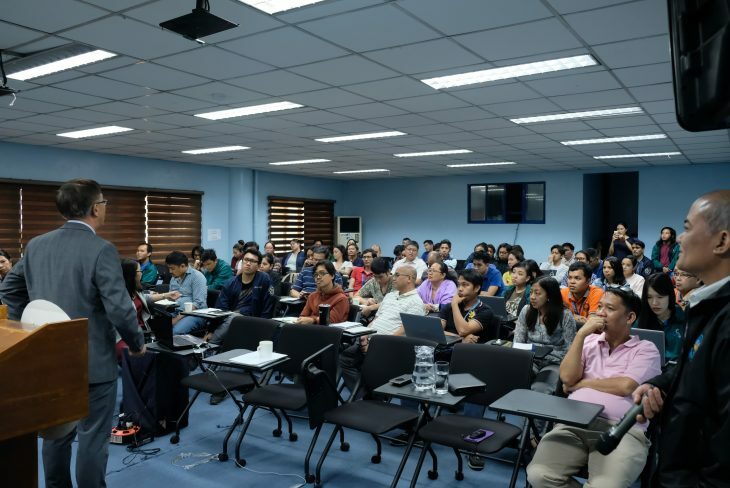 In coordination with Stamina4Space Program and DOST-ASTI, individuals from different agencies were invited as he delivered a Basic Research Grant Opportunity talk. During his talk, he profoundly described how AFRL/AFOSR/AOARD turns Science into capability. He explained how these programs explore fundamental research opportunities. In essence, AOARD and AFOSR are part of the AFRL which has extensive Research and Development Programs. 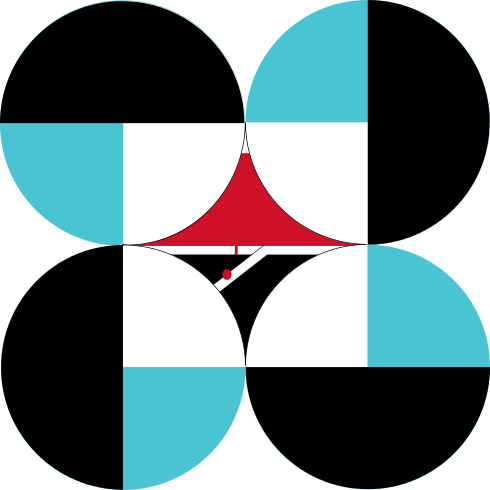 The Asian Office of Aerospace Research and Development (AOARD) is the International Office of the Air Force Office of Scientific Research (AFOSR), the Basic Research Technology Directorate of the Air Force Research Laboratory (AFRL) located in Tokyo, Japan. 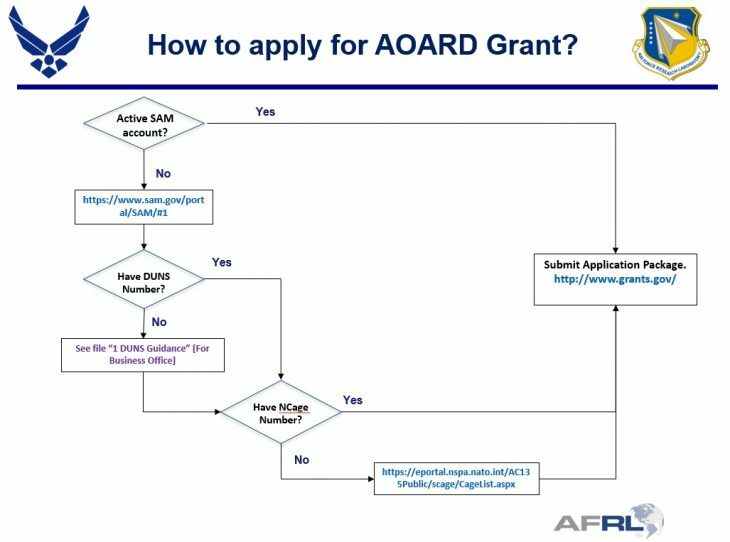 Part of AOARD’s mission is to “Find and Fund” innovative basic and applied research, and advanced technology development. 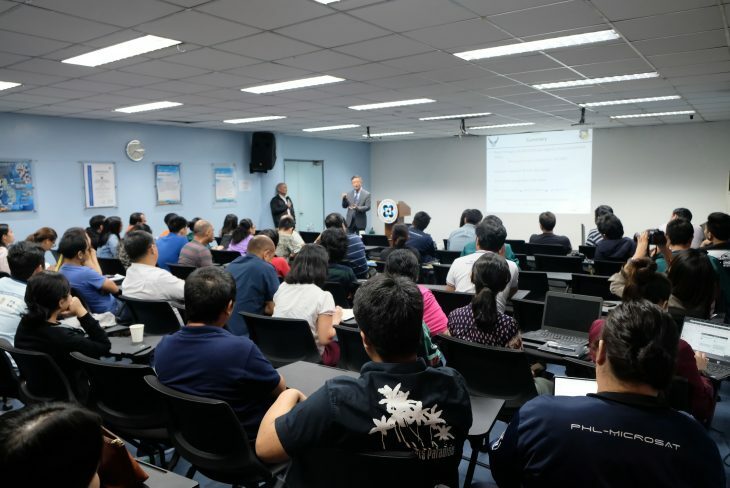 The goal is to build relationships and facilitate communication and collaboration, especially with Air Force Office of Scientific Research (AOFSR)- related research, between AFRL scientists, engineers, and experts with their counterparts among countries in East Asia and West Pacific. AFOSR, on the other hand, is responsible for the basic research investment for the USAF. As a vital component of AFRL, AFOSR’s mission is to support Air Force goals of control and maximum utilization of air, space, and cyberspace. The AFOSR International Office works to identify priority areas and mechanisms for research exchange. They also conduct outreach on behalf of AFRL and the USAF’s greater research enterprise. AFOSR’s international charter fosters advances in science and technology by identifying and supporting researchers and research activities that can lead to scientific breakthroughs that significantly impact the future [of] Air Force. It has three main support programs which include individual travel, conferences and workshops, and research projects. AFOSR accomplishes its mission by investing in basic research efforts for the Air Force in relevant scientific areas. With all the technicalities of the research grant(s), Dr. Tony Kim casually assured the audience that they should not be intimidated with the mission tools; citing that basic science and technology research should not be made complicated as the grant process is straightforward and it just requires their commitment to preparing all the necessary documents and prerequisites. On the project Closeout, project investigator/institution (PI) should file relevant forms along with a final report. PI has two (2) years to inform the US Government of intention to file a patent application. Does the institution already have a SAM (System for Award Management) Account? Does the institution have a DUNS Number? Does the institution have an NCage Number? The institution Business Office should create a SAM Account and register the institution (check item #1). After registering the institution in SAM, create a Grant.gov account and fill out the Grant Application Package in the workspace. For better visualization, visit www.grants.gov and search for AFOSR. 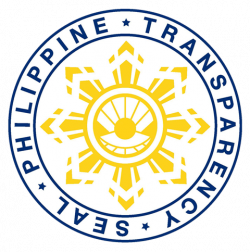 After the applicant created an account at grants.gov, a notification letter will be issued to the institution’s E-biz POC (SAM Electronic POC). Other detailed information for the grant process can be viewed here. For all grants queries, please direct your questions/clarifications to Dr. Tony Kim himself through tony.kim.1@us.af.mil. 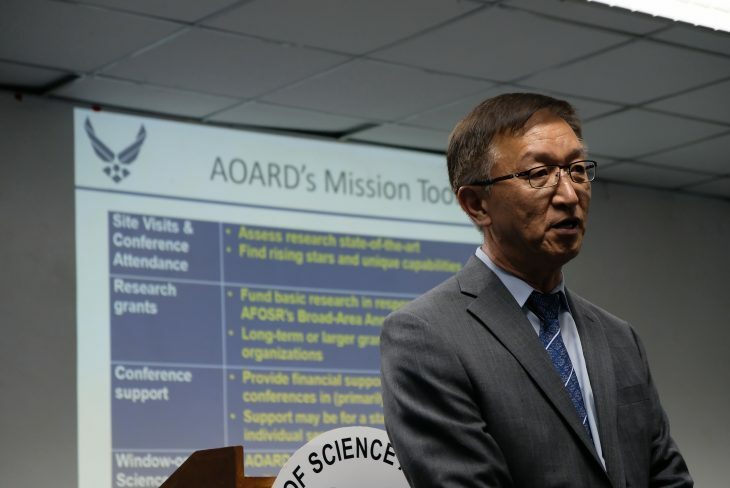 Dr. Tony Kim is currently an International Program Officer (IPO) in Air Force Research Laboratory (AFRL)/ Air Force Office of Scientific Research (AFOSR)/ Asian Office of Aerospace Research and Development (AOARD). He has been with the US Air Force (USAF) for over 34 years now holding various positions from Technical Advisor to Branch Chief and Program Manager. Dr. Tony Kim and DOST-ASTI Acting Director Dr. Joel Joseph Marciano, Jr., met last November 2018 during the ASEAN Technology Exchange Meeting in Bangkok, Thailand. 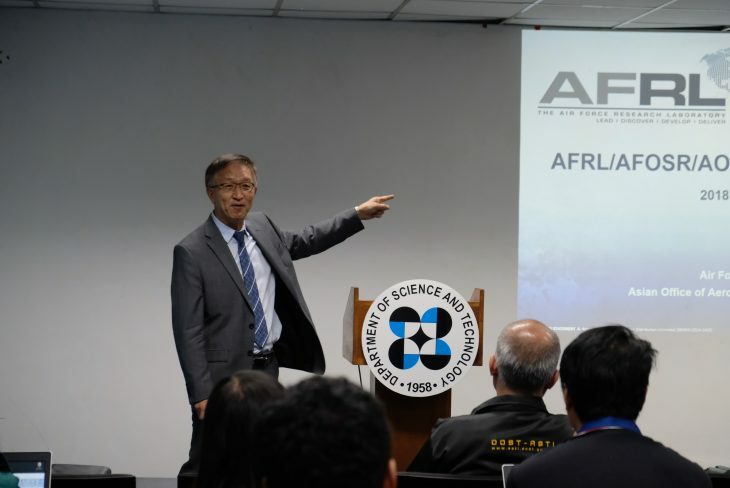 Dr. Kim expressed his desire to visit the Philippines to personally know more about the initiatives of the country in space technology development.